Sadness blows slowly down our street this week because of the sudden and tragic death of a neighbor. He left behind a wife and two young-adult boys. We’ve lived diagonally across the street from them for over sixteen years. And now, in their moment of greatest sorrow and need, I’m struck by how little I know them. We’ve never been in each other’s houses. I’m not up-to-date on what their grown kids are doing. I don’t know what they’ve celebrated lately, or what they’ve grieved. I came closer to knowing them better when the kids were little. Our kids would run around our yards together and I would see her outside. I would preach to myself about being “neighborly” and make myself go out there. 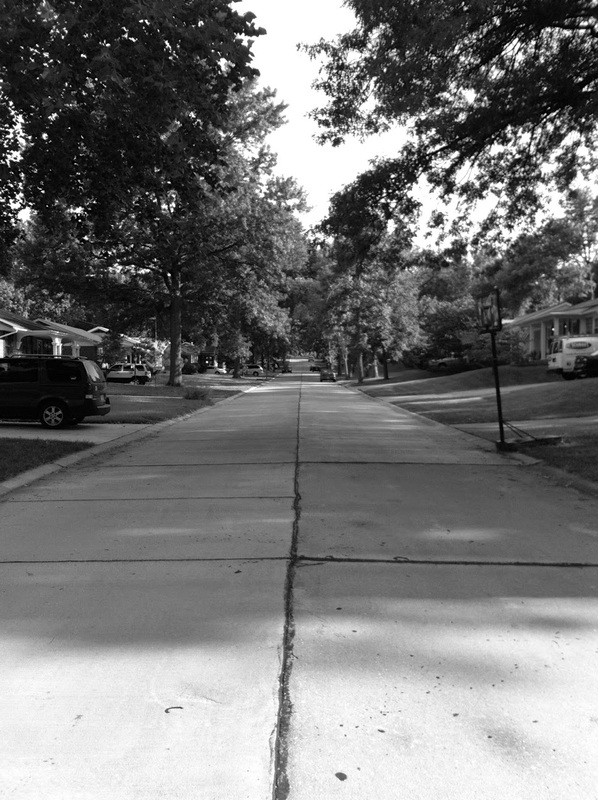 We would chat for a few minutes about what a great neighborhood we have… so many kids, hardly any cars, lawns are never off-limits. We would talk briefly about house cleaning and lawn care. Then I would pat myself on the back and make an excuse to go back inside. Not because she was unkind or unpleasant, but I always felt in a hurry to get back to my life. After all, I have a calendar to keep, chores to mind, and to put it simply…me to love. And now, our houses are only separated by a few yards, but our lives are so distant. As her heart is breaking and her life is torn apart, I bring over a card and condolences. I offer to help in any way. But she politely refuses, and I’m not surprised. I am, essentially, a stranger. And who wants strangers around at your most vulnerable moments? When I’m unloading groceries, and a dog-walking neighbor pauses by my driveway, I rush up to the door and call a quick, “Hi! How are you?” without really waiting for an answer…or even caring what it is. …so I can drive out of our neighborhood to go visit our family and friends. Friends who go to our church. Friends vote for our people. Friends who are safe. Even friends who live far away. And the miles that we drive for them are never too much. But the street seems to be too wide to cross for our neighbors. I always thought I was a people person. I’m an extrovert and can carry on interesting conversations. I have lots of friends and love to go to parties. I love my extended family and we get together often. And, if you are in my family, or if you are my friend, I’ve driven to help you when you’ve been sick. I’ve driven the miles that separate us when you needed help. I’ve sat for long hours talking with you, further entwining our lives and sharing our stories. So, I revel in my many, easy relationships, and I think I don’t have time for my neighbors. But really, I just don’t have the heart. And now I sit across from a new widow’s home, and I cry. Tears of grief for her, of course, as I imagine her pain. But mostly tears of regret and conviction. “…love your neighbor as yourself: I am the Lord.” Leviticus 19:18 This is not an obscure, mysterious verse. I’ve known it since childhood, and it’s repeated in the Bible at least ten times. I find it interesting that God commands us to love our neighbors, but calls us friends. We can’t choose these people whom we are called to love. Perhaps God placed them in our space so that we could demonstrate our love for Him, day after day, even when it’s not planned or convenient. Loving in a way that requires an open door and open heart. And immediately, I preach it: God wants me to love my neighbor so I can reach the lost for Him. So that I can be a light in the darkness. So that I can show the thirsty where to find the only Living Water that satisfies. So that others can know Him. But as I stoop lower, I see deeper reasons: God opens the idea that my neighbors might be struggling to love me. I need to learn that even though we don’t share world views, they might have some truth that I need. So that I am humbled enough to receive. So that I can know more of His Grace. Maybe God also spelled out the command to love our neighbors because He knew that it would be hard. We were made to love our family, who share our blood. And it’s easy to love our friends, who we have chosen, who share our life stage, world-view, and values. But the loving of neighbors requires letting go of control. And as I sit in my conviction, I’m astounded that God calls us His friends. He chose us. He left His home and reached across great distances, and went to great lengths to help us, live among us, and love us. Because I’m His friend, I can love my neighbor. So, I’ve pulled enough weeds for today. But I’m not in such a rush to head inside. Maybe I’ll hang out here on my porch a while, and see what happens in my neighborhood.